Launch from Baikonur. 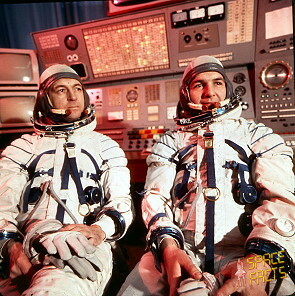 Soyuz 18A was intended to be the second mission to take cosmonauts to the Soviet Salyut 4 space station for a 60-day mission. The launch proceeded according to plan until T+288.6 seconds at an altitude of 145 kilometers (90 mi), when the second and third stages of the booster began separation. Only three of the six locks holding the stages together released and the third stage's engine ignited with the second stage still attached below it. The third stage's thrust broke the remaining locks, throwing the second stage free but putting the booster under unanticipated strain that caused it to deviate from the proper trajectory. At T+295 seconds, the deviation was detected by the Soyuz's guidance system, which activated an automatic abort program. As the escape tower was long gone by this point, the abort had to be performed with the Soyuz's own engines. This separated the spacecraft from the third stage booster and then separated the orbital and service modules of the Soyuz from the re-entry capsule. At the time when the safety system initiated separation the spacecraft was already pointed downward toward Earth, which accelerated its descent significantly. Instead of the expected acceleration in such an emergency situation of 15 g (147 m/s²), the cosmonauts experienced up to 21.3 g (209 m/s²). Despite very high overloading, the capsule's parachutes opened properly and slowed the craft to a successful landing after a flight of only 21 minutes. The capsule landed southwest of Gorno-Altayska (50° 50' N, 83° 25 E). The capsule landed on a snow-covered slope and began rolling downhill towards a 152 m (499 ft) sheer drop before it was stopped by the parachutes' becoming snagged on vegetation. Having landed in chest-deep powder snow and a local temperature of -7 °C (19 °F), the cosmonauts donned their cold-weather survival clothing. As the cosmonauts were uncertain if they had landed in China, they quickly destroyed documents relating to a military experiment planned for the flight (this was at a time when Sino-Soviet relations were extremely hostile). Soon, the crew was in radio contact with a rescue team in an approaching helicopter, who confirmed their landing point was in the Soviet Union, near the town of Aleysk. The deep snow, the high altitude, and the terrain meant the rescuers had great difficulty in making contact with the cosmonauts. It was the next day before they were safely air-lifted out. Initial Soviet reports stated the men had suffered no ill effects from their flight. 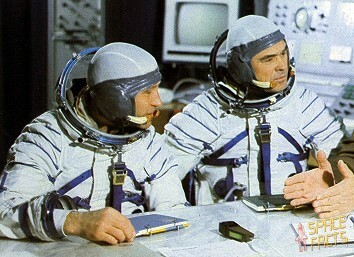 Vladimir Shatalov, the Director of Cosmonaut Training, reported they were fit to fly another mission. However, subsequent reports claimed that Vasili Lazarev was injured by the high acceleration of re-entry. 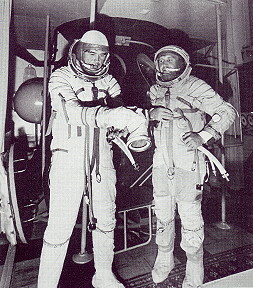 The Soyuz 18A flight has been the only case of a manned booster accident at high altitude. The exact landing site of the capsule had been a subject of debate amongst space historians in subsequent years.